Have a night out on Love! We will be having a month of love at the St James on venice! 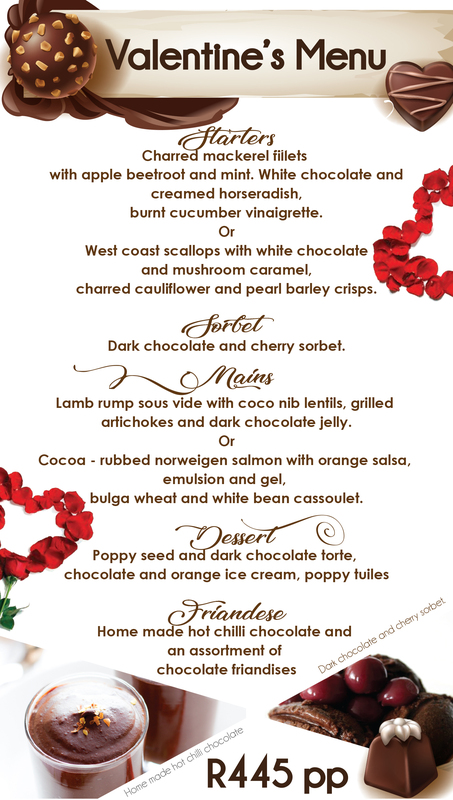 From 14th – 28th February we will be serving 5 Course chocolate themed Dinners at R445 per person (please Book ahead). This lovely dinner is well worth it and not a dinner to be missed! If your experience at the St James on Venice wasn’t as pleasant as you hoped it would be, speak to us directly! We would love to be granted a chance to grow and better ourselves! If your Experience exceeded your expectation, feel free to tell the world!